Day after day, researchers are making a new breakthrough in the treatment of cancer that affects 35,000 people a year in the world. The latest breakthroughs have the hope that the disease will not be fatal to future generations. Researchers at the Francis Crick Institute in London find it possible to strengthen the body's defense by transplanting immune cells from other people, the telegraph reported. "Cancer patients will be able to receive the new treatment from next year. A healthcare professional plans to create" immune banks "to store control cells for certain diseases, including cancer. Adrian Heidi, from the Francis Crick Institute, said researchers and Doctors could become heavier Engineers and develop health antibodies instead of being injected with chemotherapy poison. 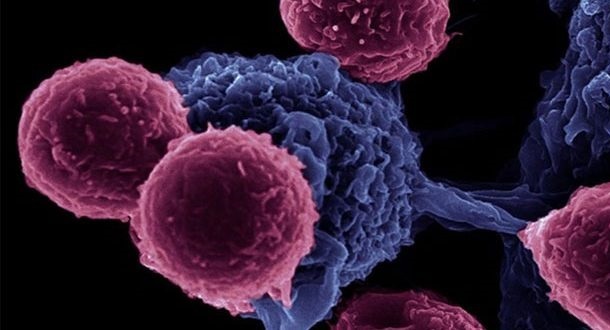 "The use of the immune system to fight cancer is an ideal treatment and offers a radical radical solution which in turn avoids the use of chemical therapies that overwhelm many patients. " Heidi described the results of tests on the use of immune cells in cancer treatment as" Although it is still too early to assess the effect of the new treatment, it will be promising. He stressed that the idea of ​​creating banks for immune cells can make the treatment more accessible and faster for many suffering from the disease, hoping that these banks will see the light soon.